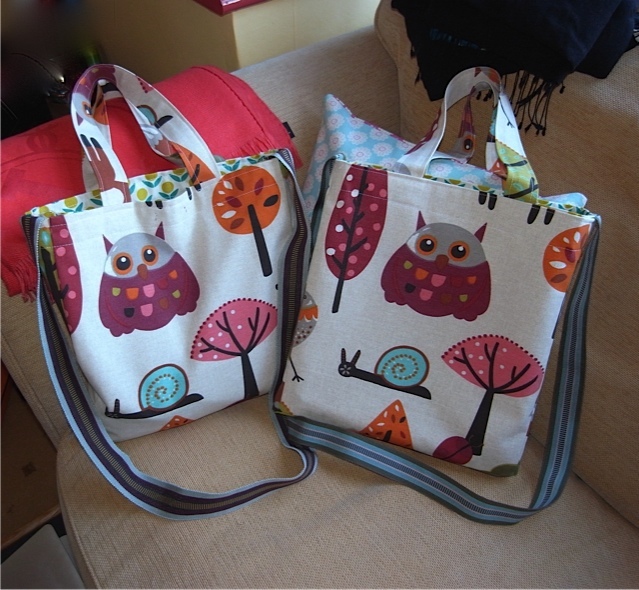 February 2014: Spot the difference! 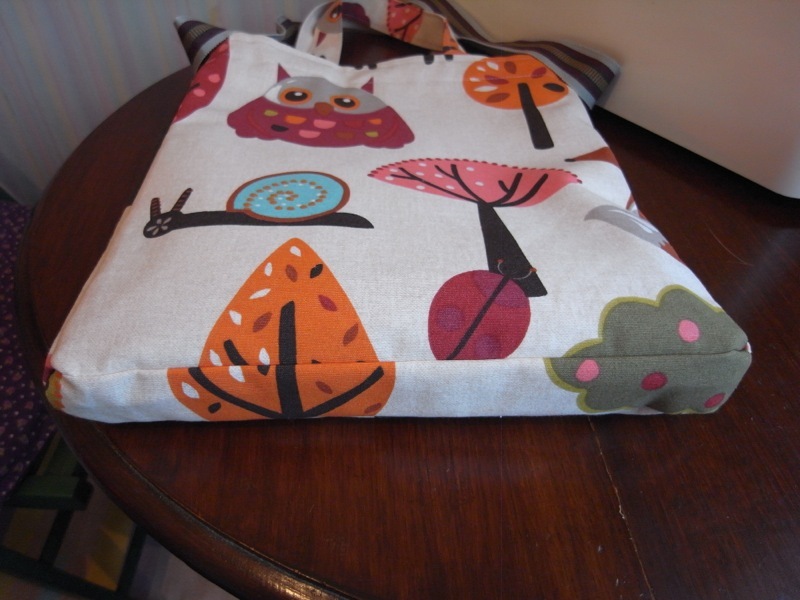 Amanda loved my woodland creatures bag and wanted one for herself. 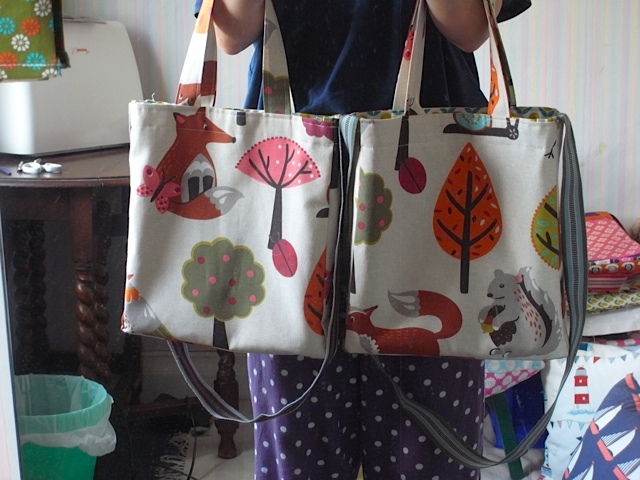 I’m trying never to make two bags exactly the same, so although very similar they are not the same. 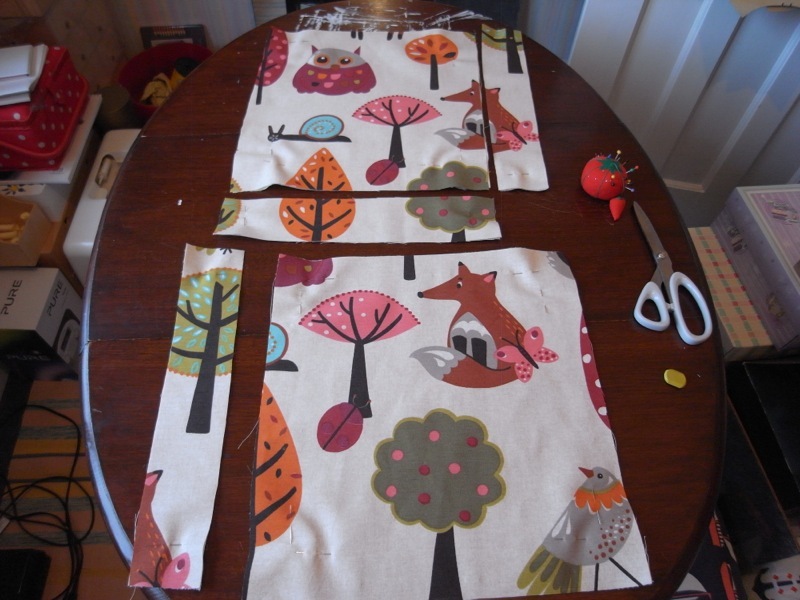 For one thing the finishing is better on the second! See if you can spot the differences……. Almost the same but not quite. 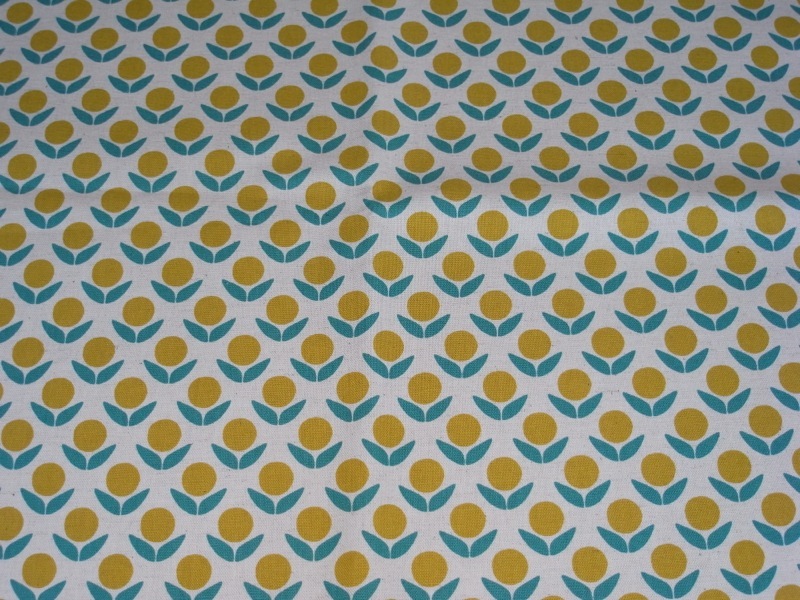 Quite happy with pattern match up on the base. 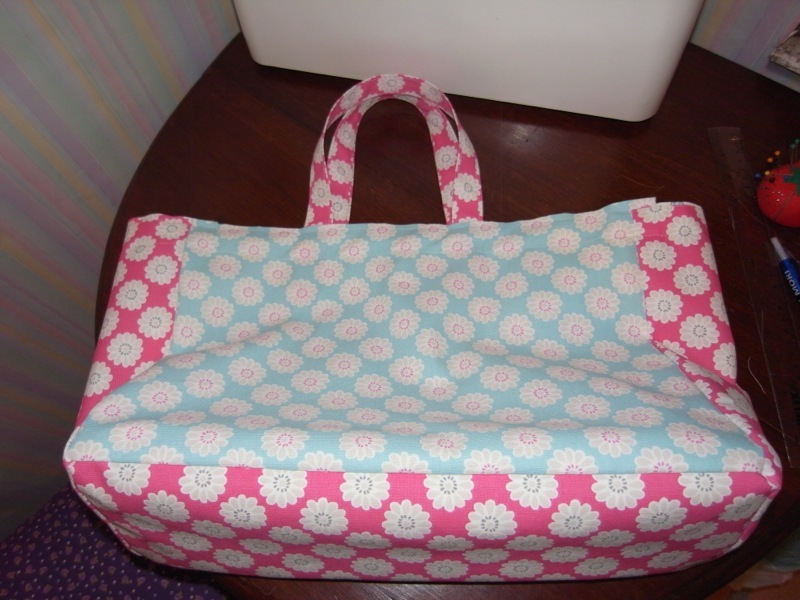 Another work colleague asked me for a knitting bag. And as she was happy to pay for it I was happy to make it. 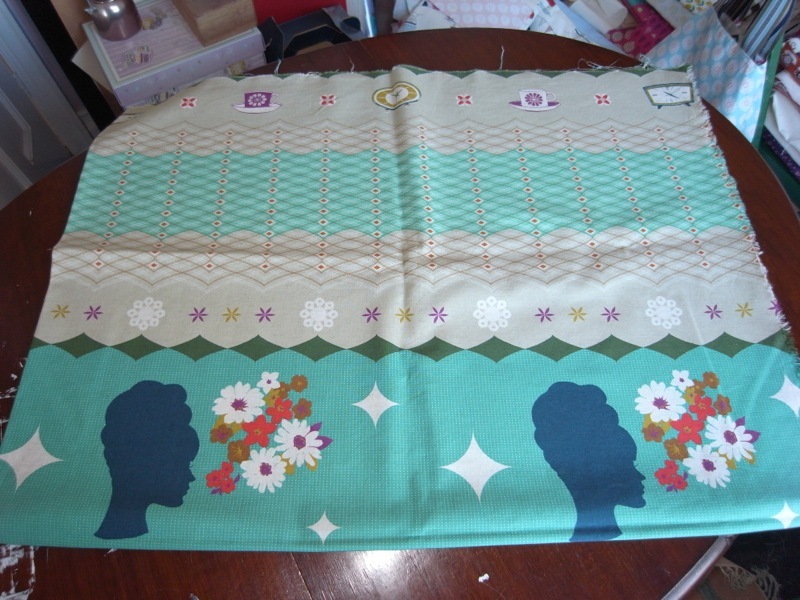 Now because she was paying for it I felt the need for the finishing to be better than it has been in the past, but I couldn’t quite work out how to get my top corners to sit better. For some reason they always look messy and this wasn’t acceptable to me. After scratching my head and racking my brains for quite a while I discussed it with the husband and he came up with a solution so simple, it had been staring me in the face all along, but I just couldn’t see it. 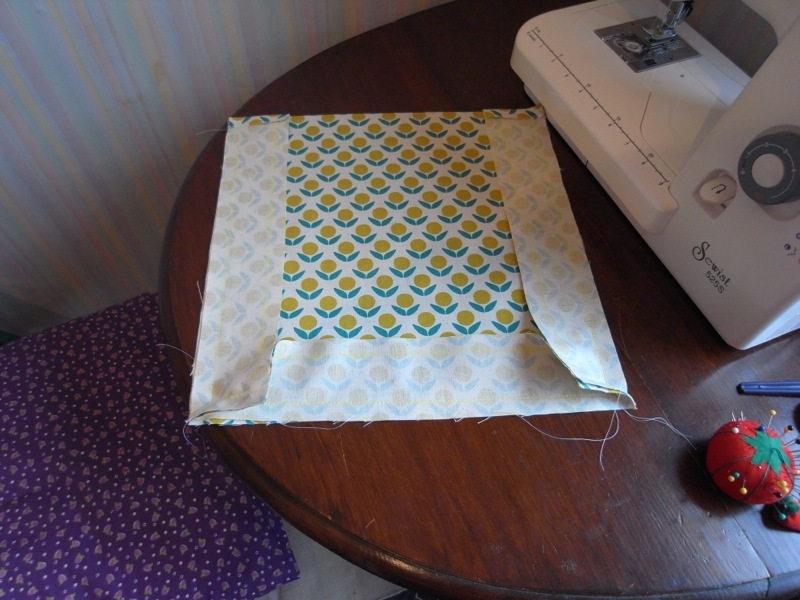 I needed to iron the corner edges and fold the top over so that all the top edges were aligned. Don’t know if I’ve explained that very well, sorry. Now if I’d gone to classes I would’ve probably been taught that but as I’m self taught I learn these things along the way. 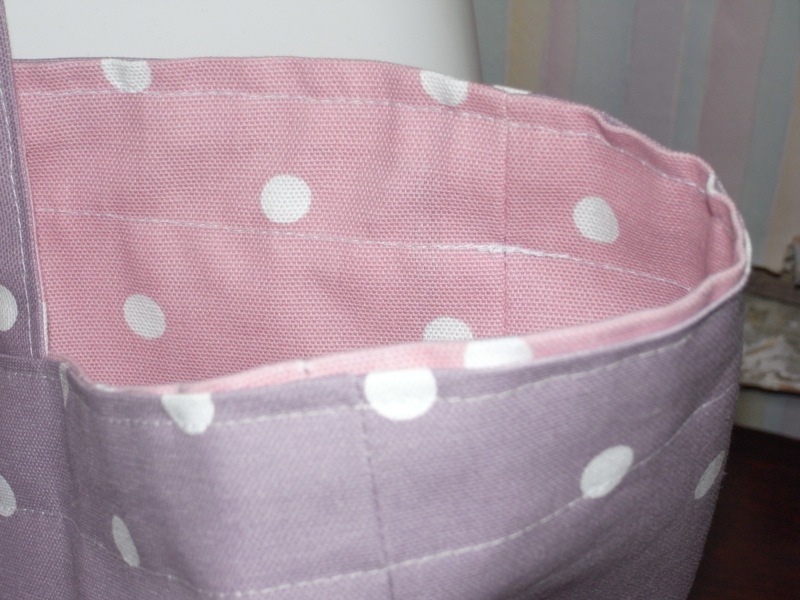 Every time I make something I learn something new. 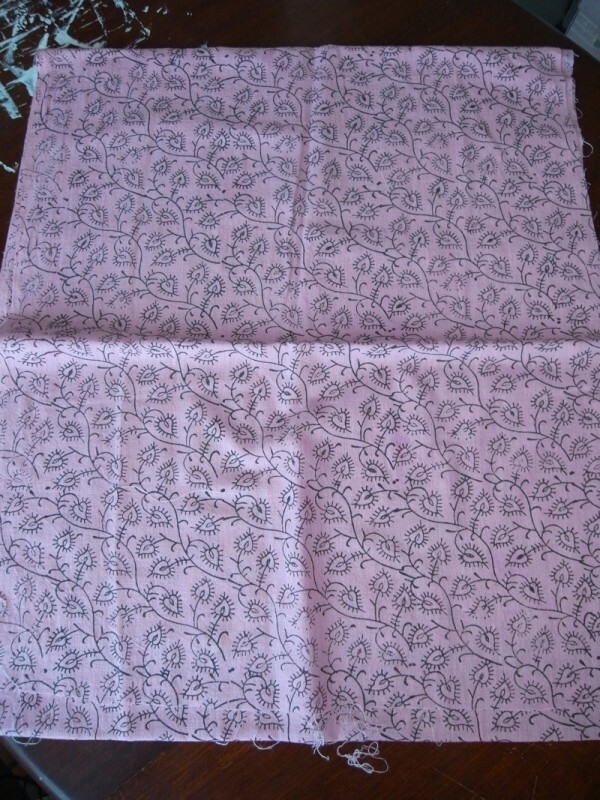 Mauve side (reversible). 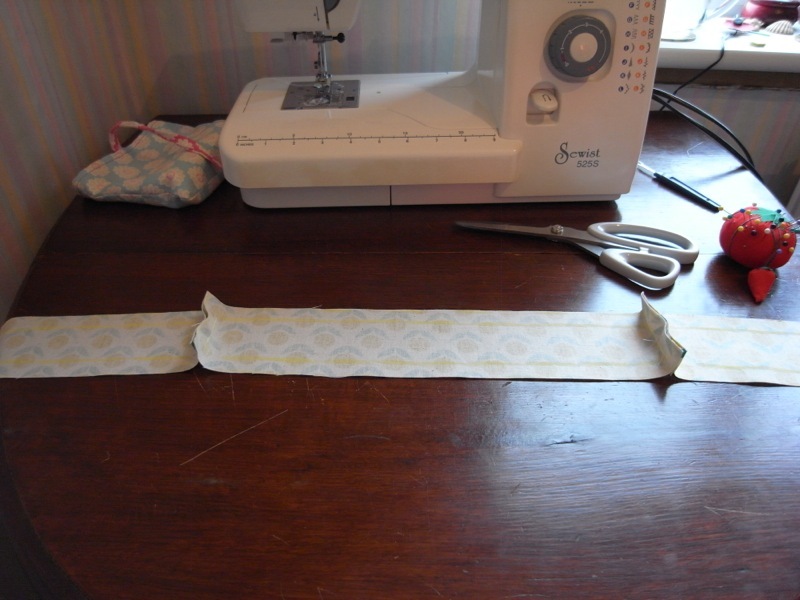 Put a label in but not perfected this yet, quite tricky. I love how well the colours go together. My very dear friend Amanda is my biggest cheerleader. 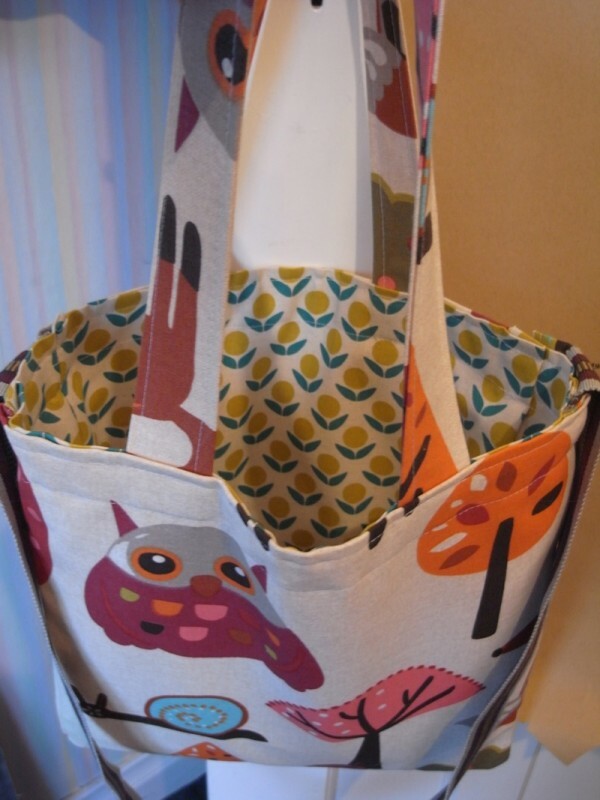 Amanda has been so encouraging and keeps insisting that I can sell my bags, I’m always a little sceptical thinking she’s just biased because she’s my friend. 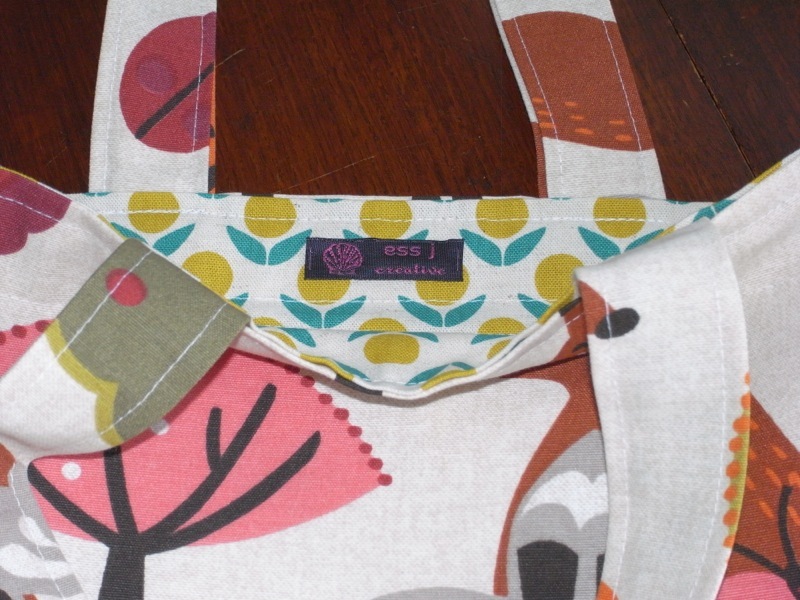 But there’s a little part of me that keeps thinking it would be so fab if people were to buy my bags and maybe just maybe that might be a possibility! I started thinking of a name for my brand (ooh get me, “BRAND”) maybe getting a little ahead of myself, but you have start somewhere. I eventually come up with essj. 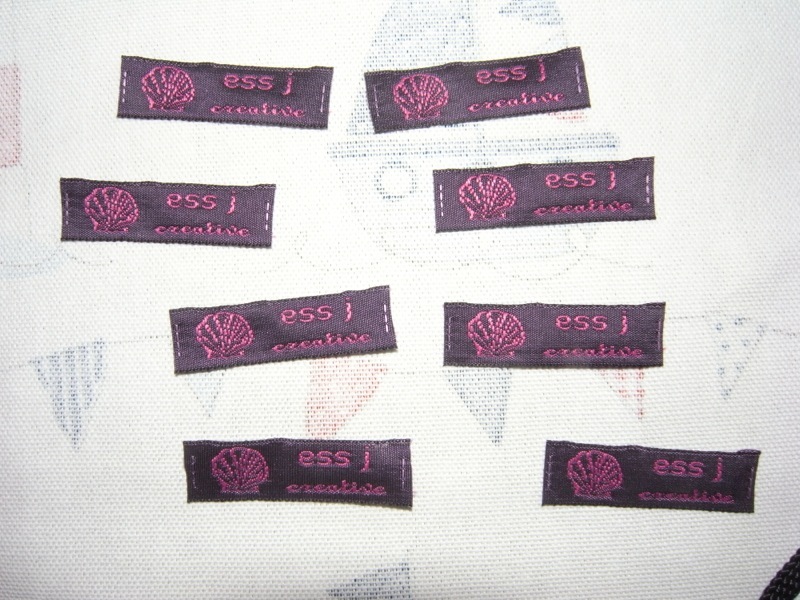 It’s a play on my old initials which used to be sj. So we then decided I needed a website and as essj.com has gone we had to re-think and my husband came up with essj creative.com. This was available and we nabbed it. 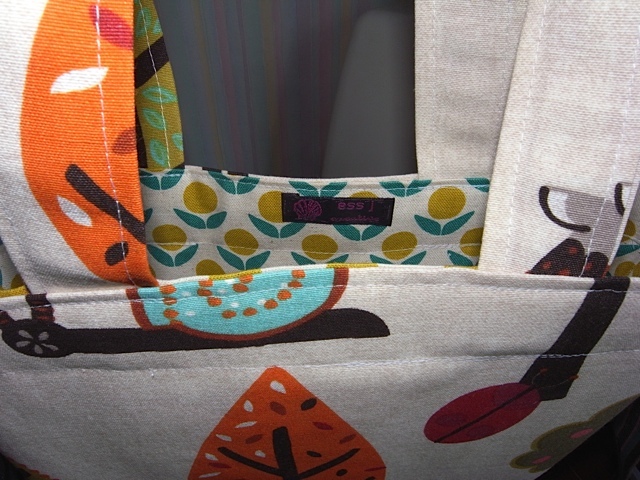 I then looked into labels for the bags, found a site which let you play with fonts, motifs and colour. I settled on a design and ordered some. This is still a work in progress and subject to change. how it looks in a bag. 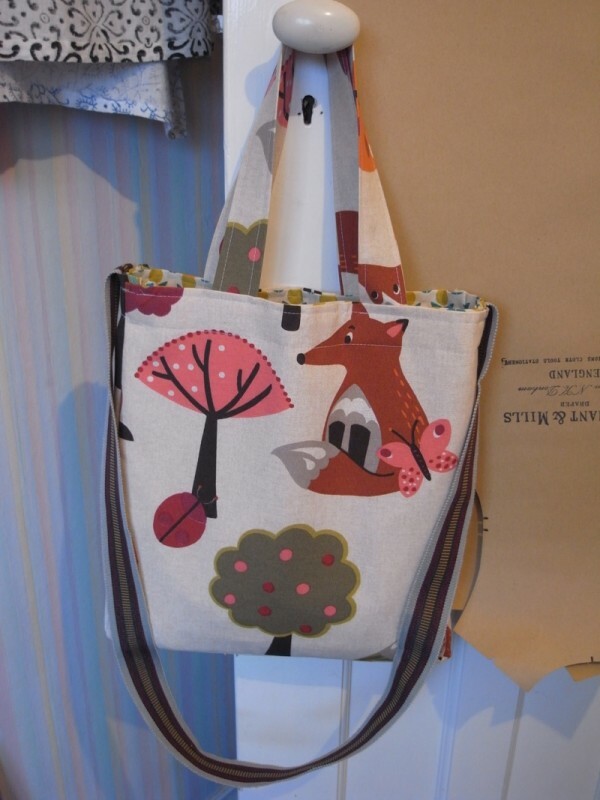 February 2014: Woodland creatures bag. 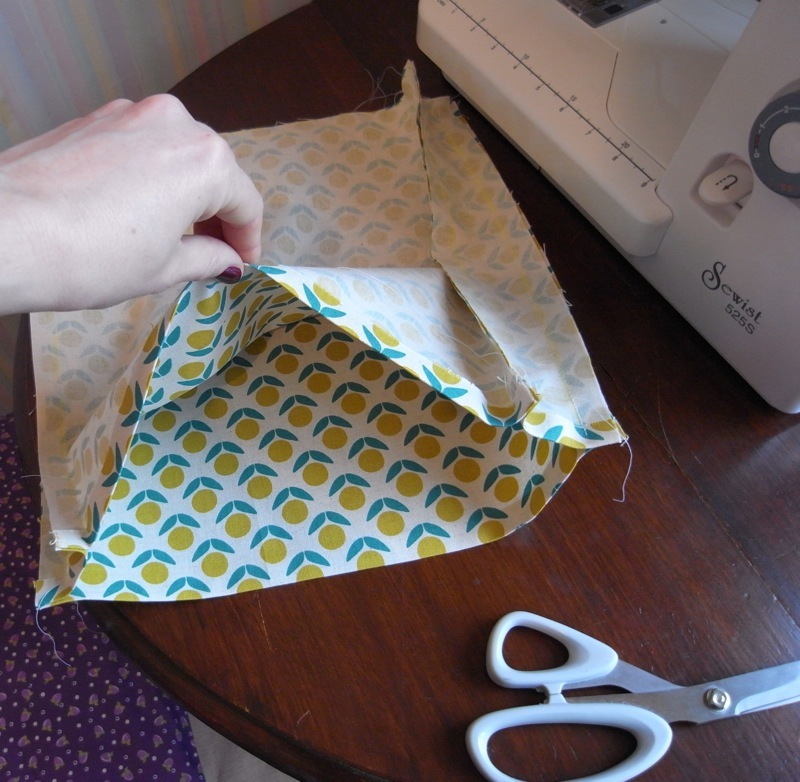 Now, I am in no way going to do a ” how to post”, but I am going to try and show the stages of making a bag and the process I go through. 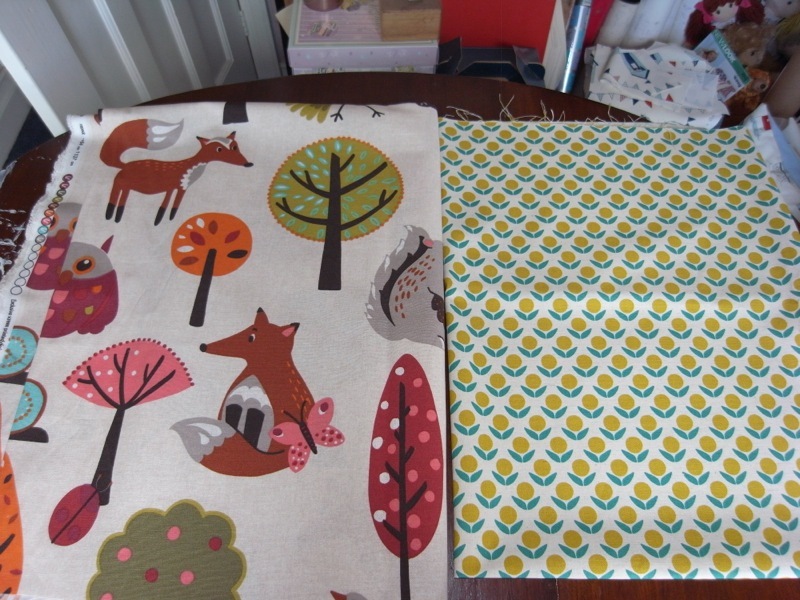 I choose the fabric I’m going to work with. 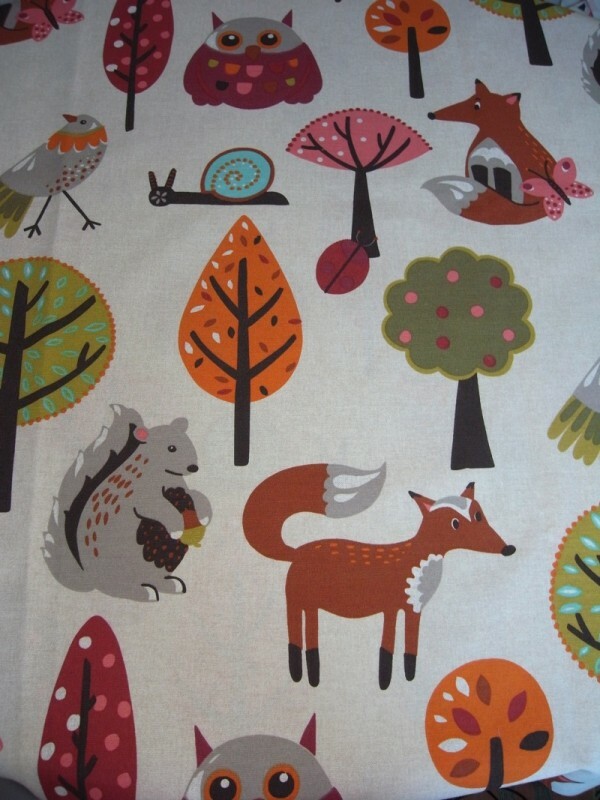 I love the woodland creatures fabric, I picked it up for twenty four pounds a meter, quite pricey, but it is almost two and a half meters wide! 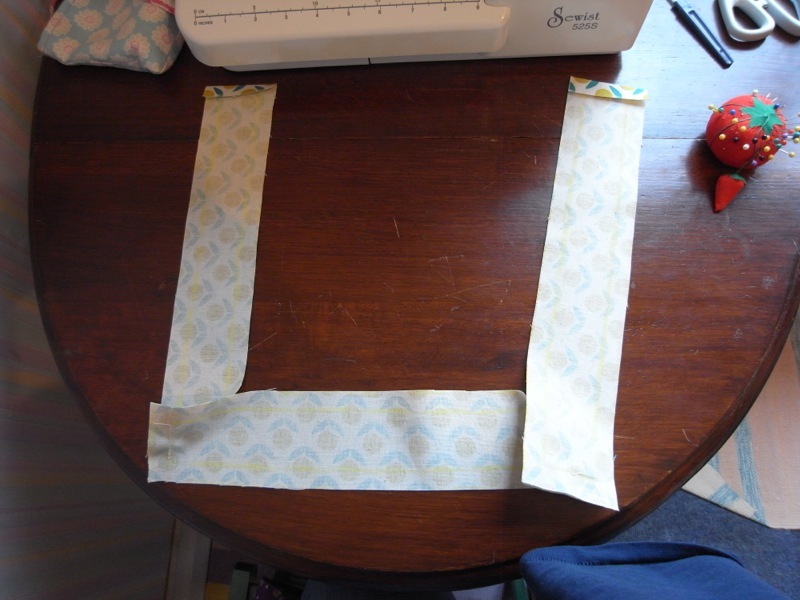 then I measure out and cut the calico I use to line the outer fabric. 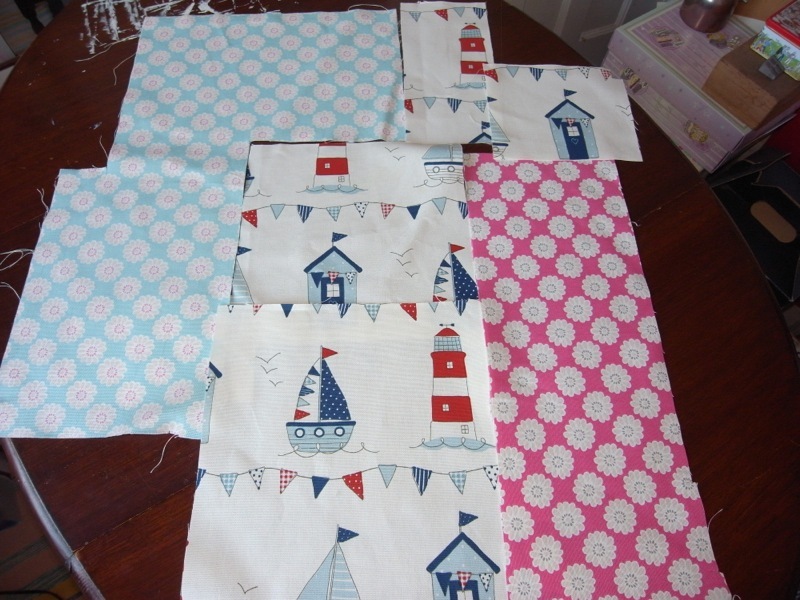 You’ll see I’ve tried to match the pattern pieces as best I can, to get continuity. 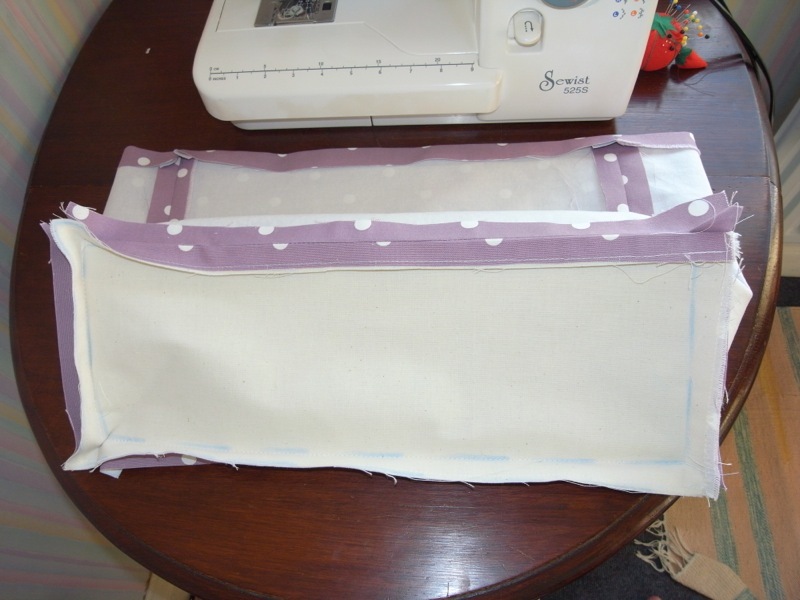 I then sew the calico to the back of the fabric, it makes the fabric a bit sturdier i feel. 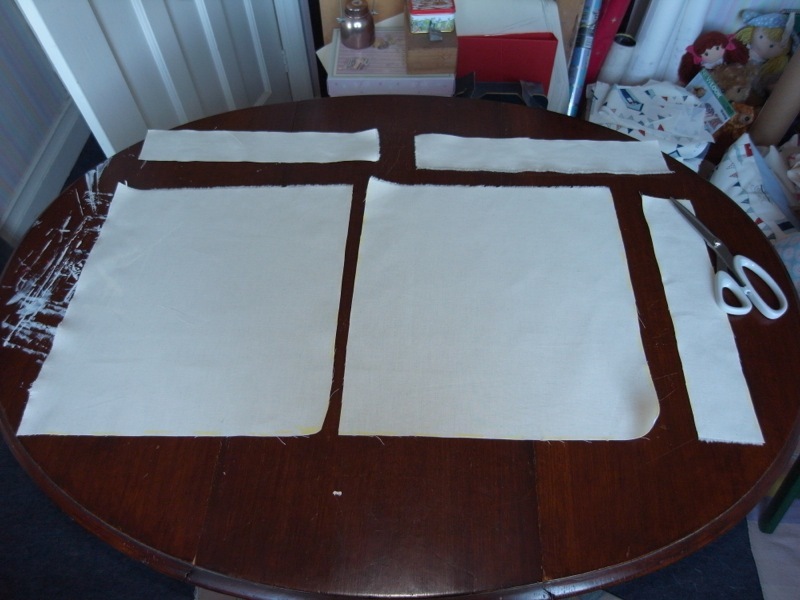 these are the pieces for the lining, I don’t use the calico on the lining. 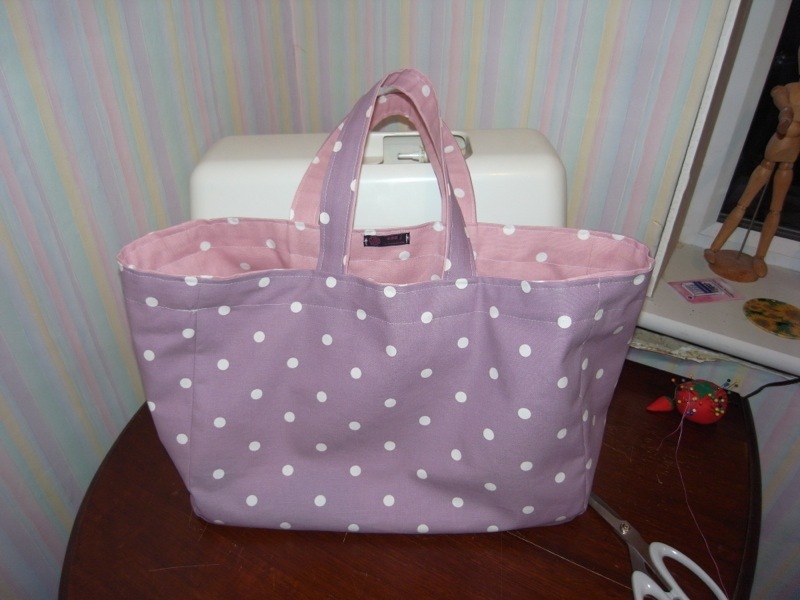 After marking out the seam allowance I can now start putting the bag together. 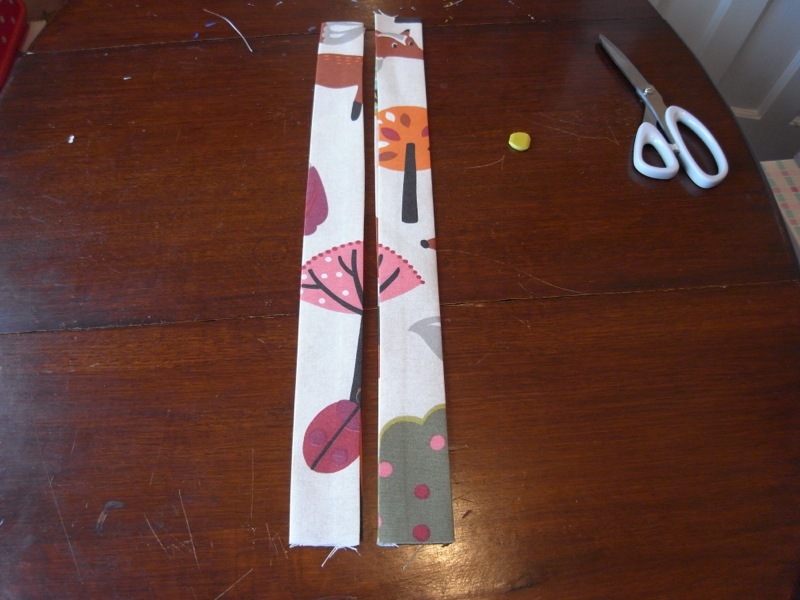 I attach the sides to the base. 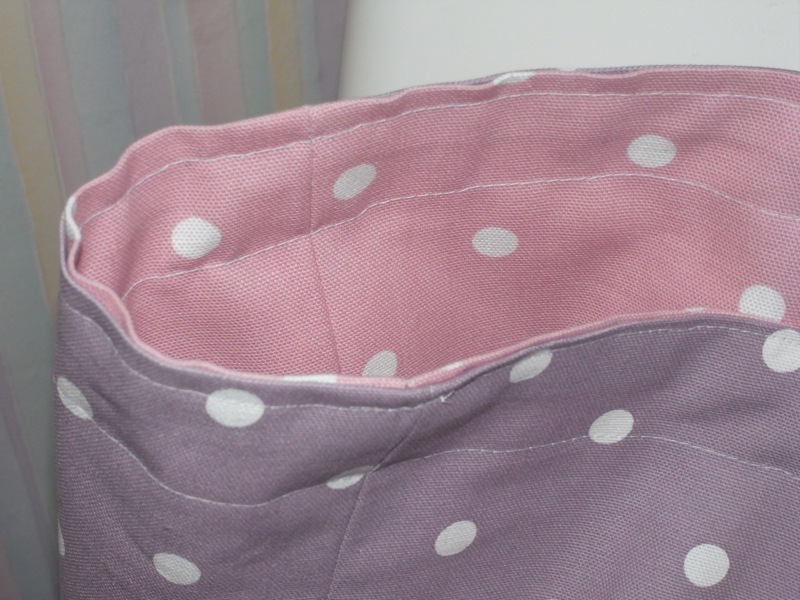 another view of the attached sides and base. 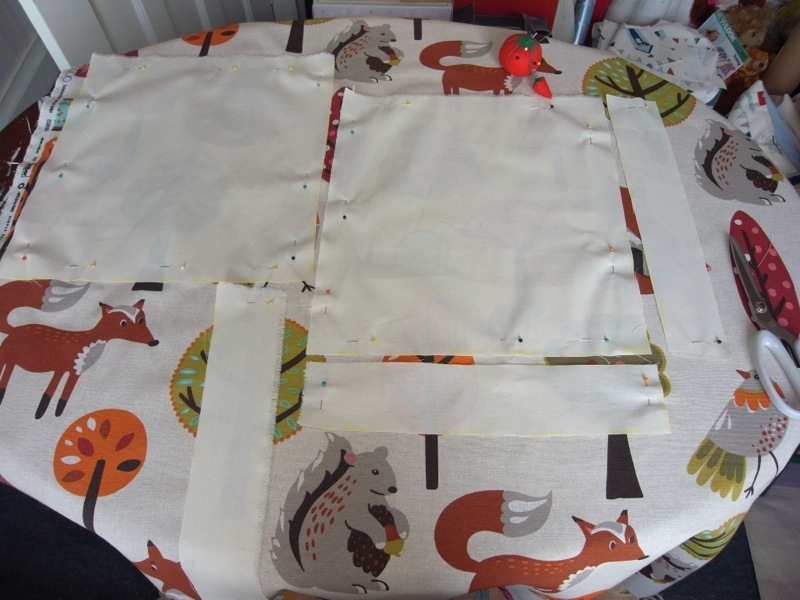 pin one of the front or back panels to the base and sides…. starting to get an idea of shape now. 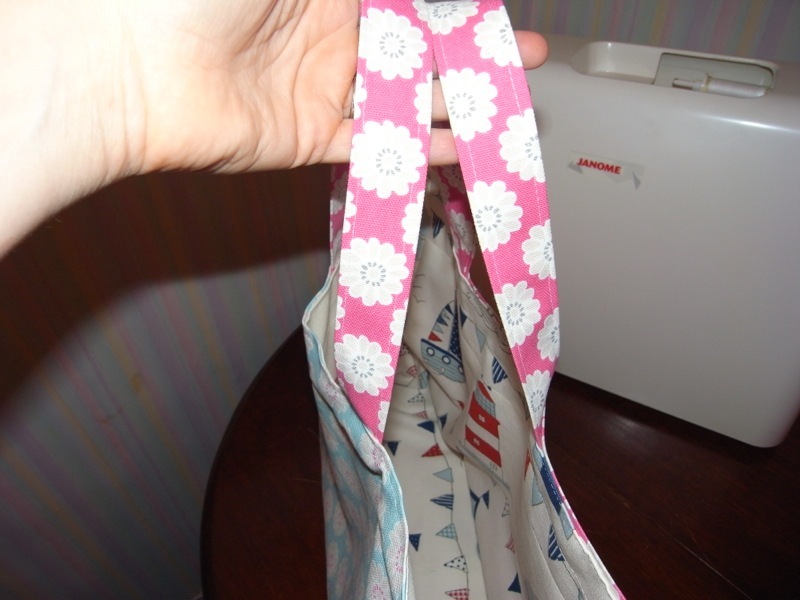 Do the same with the outer bag, trying carefully to match the pattern pieces. 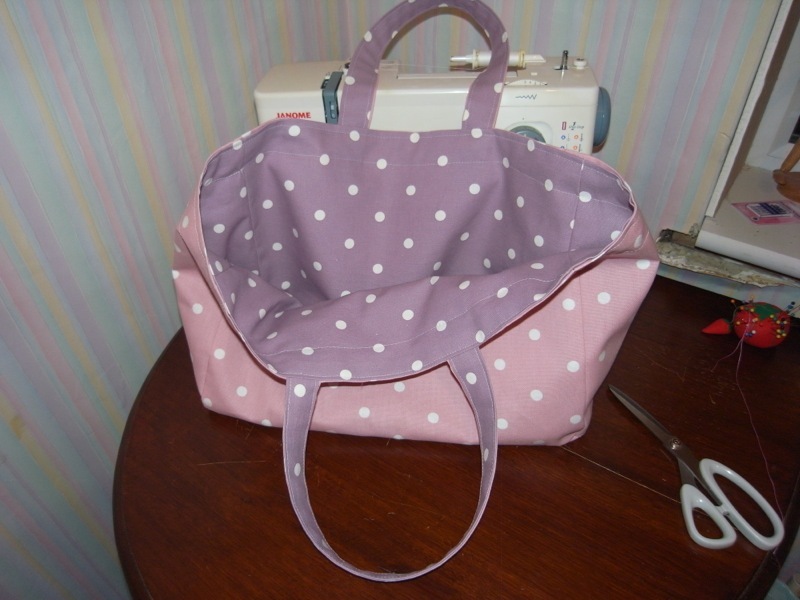 this is going to be a messenger bag, but with added handles for versatility. I’m making these. 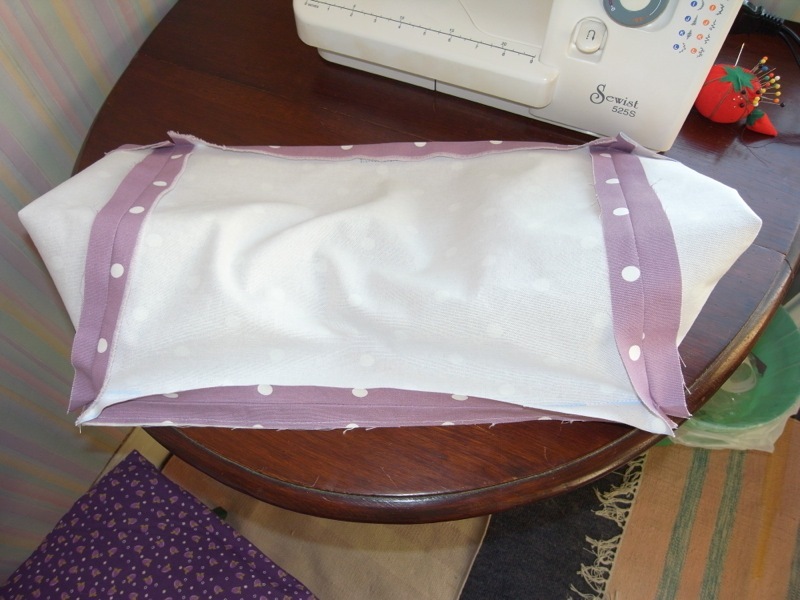 Once I’ve made the straps its time to put the lining into the outer bag attach with pins. 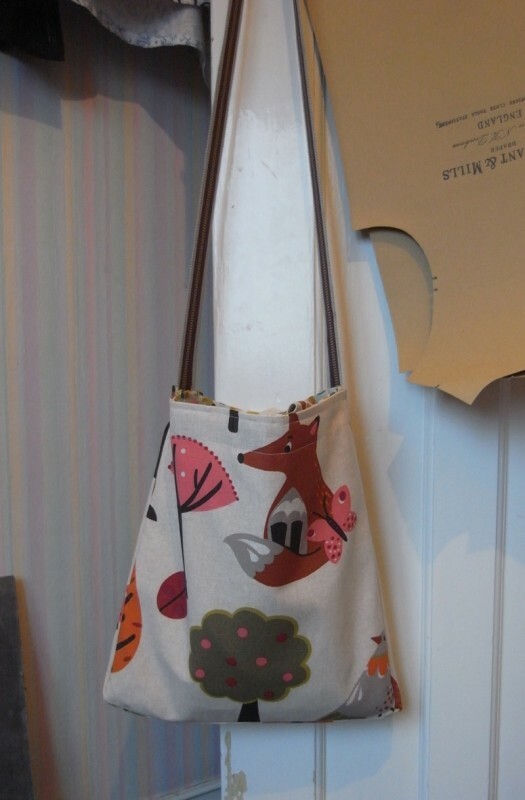 Then add the messenger strap, pin in place and add the handles, pin in place. 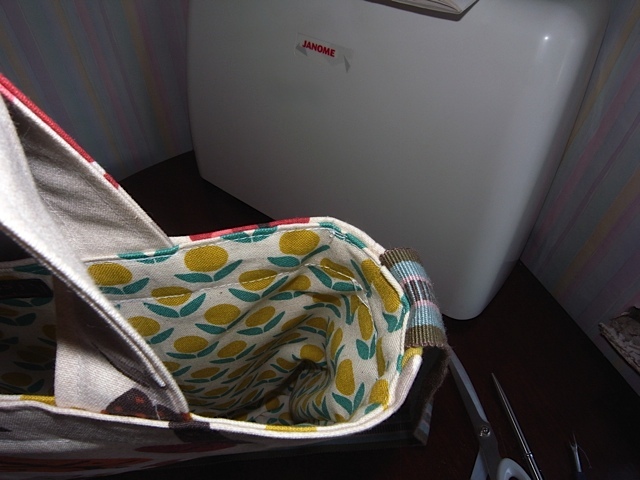 sew carefully around the top of the bag about two inches from the top and again about a quarter of an inch from the top. and ta da! It’s done. 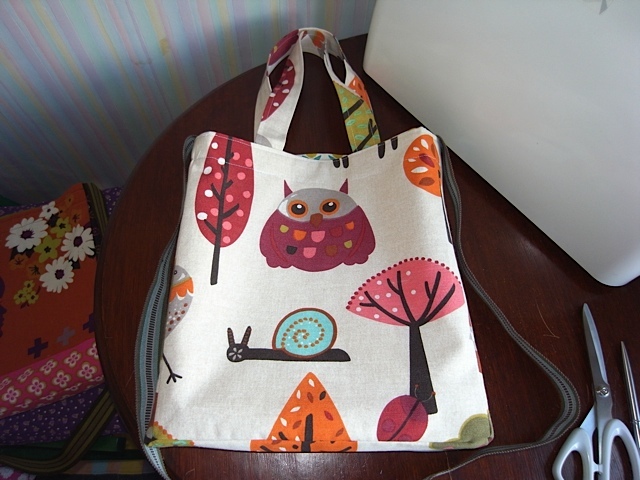 and the owl, love the snail too. 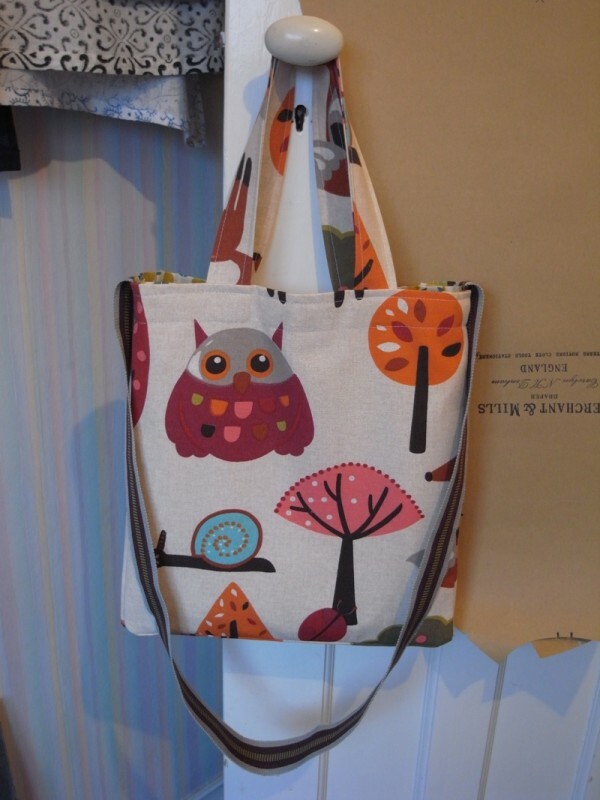 This is such a fun, cute bag. 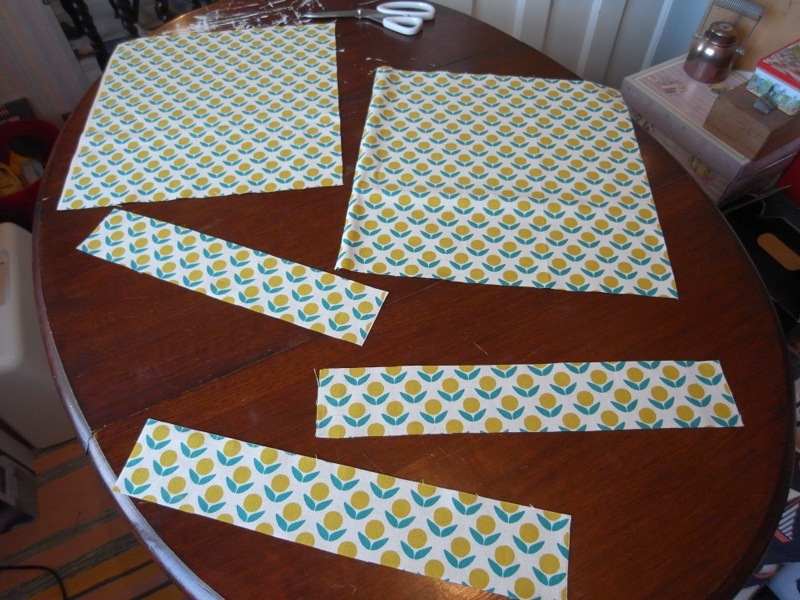 See how I attempted to align the pattern. Mostly works. Love it! 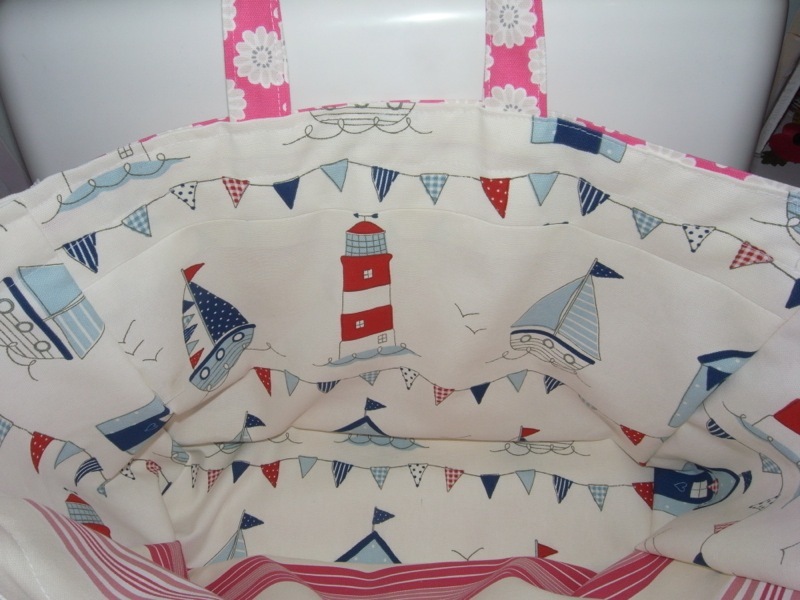 Very versatile with two different types of straps. 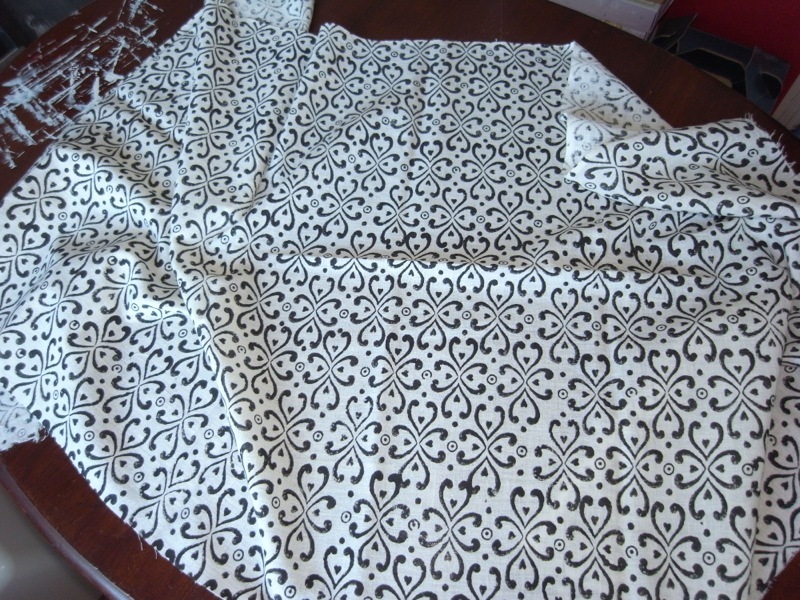 February 2014: Fabrics I’ve used and have yet to use. 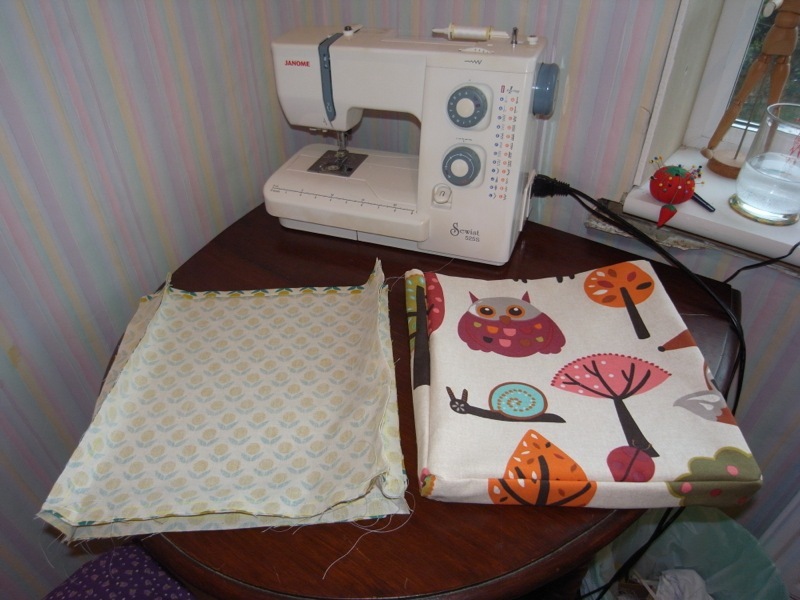 Just thought I’d share with you some of the fabrics I’ve used so far and some fabrics that I’ve not used yet, but am looking forward to using. 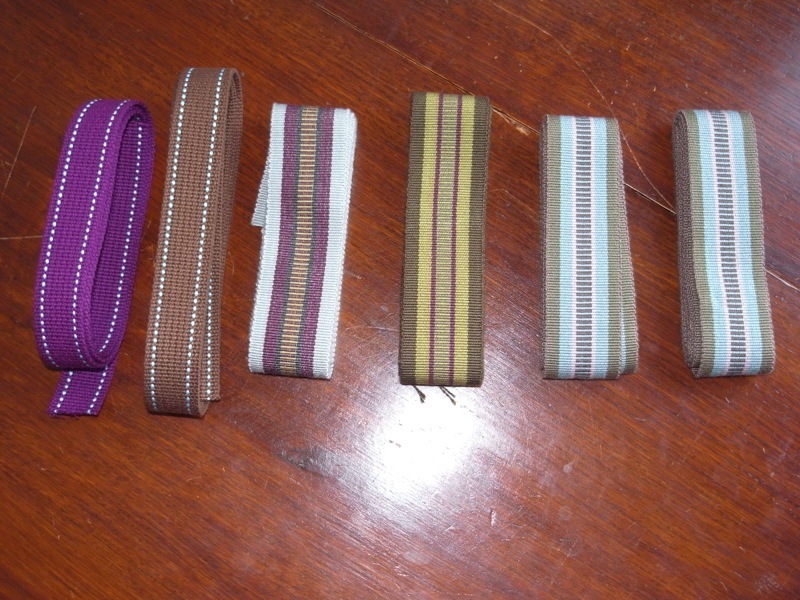 grosgrain webbing I use for straps. 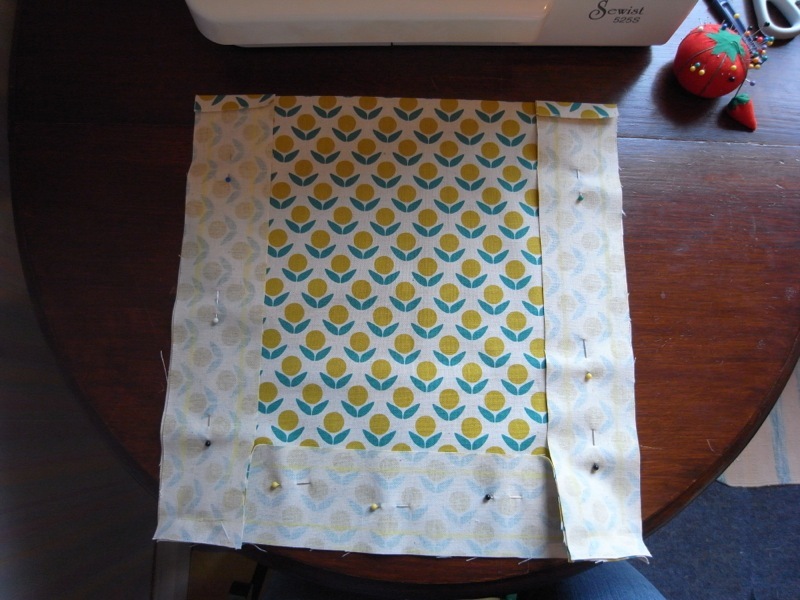 made a top from this. 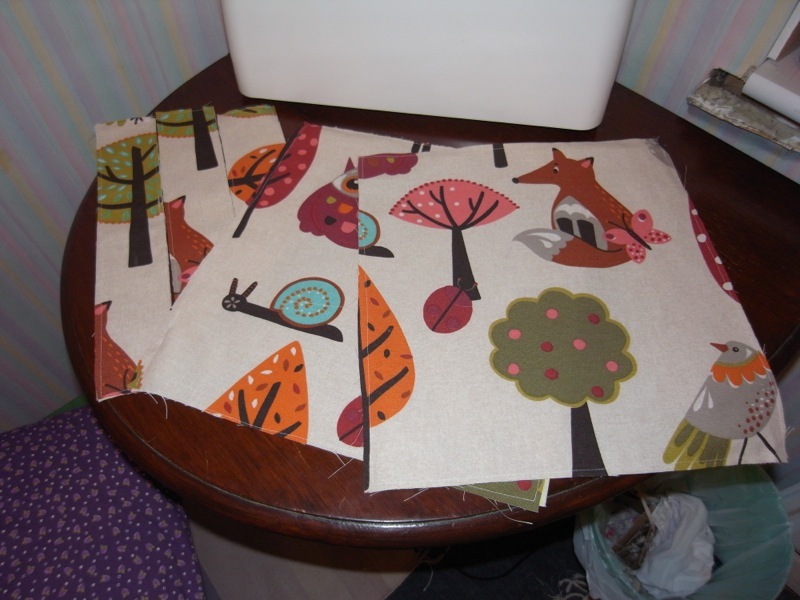 I’ve made cushions & bags from this lot. 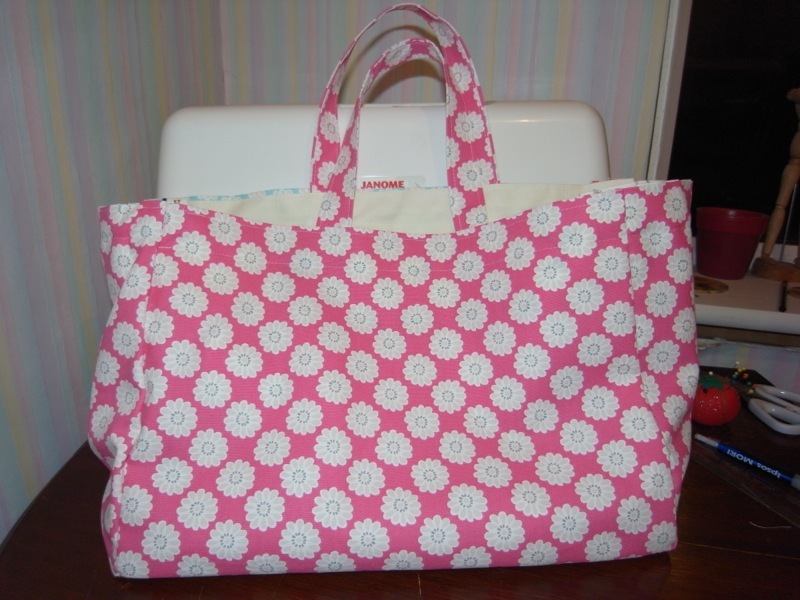 Lining for bags. Melody Miller for Kokka. 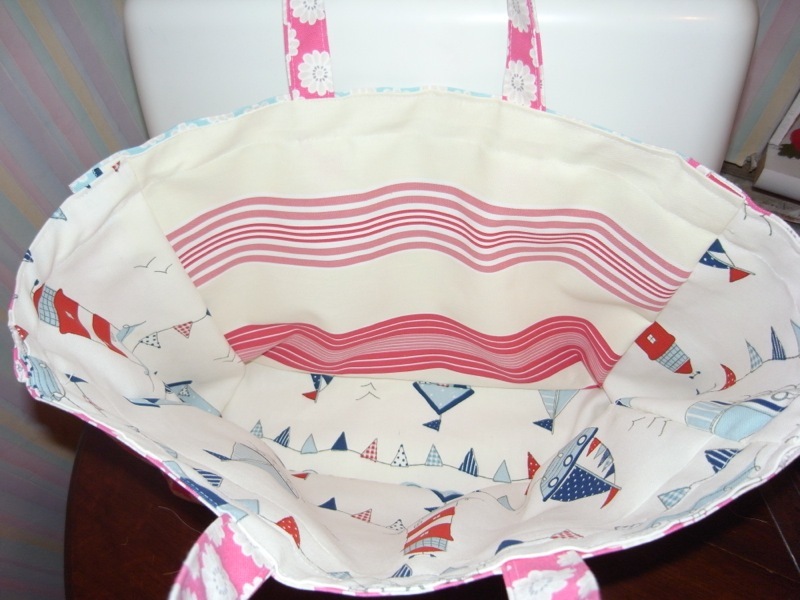 another lining for bags. 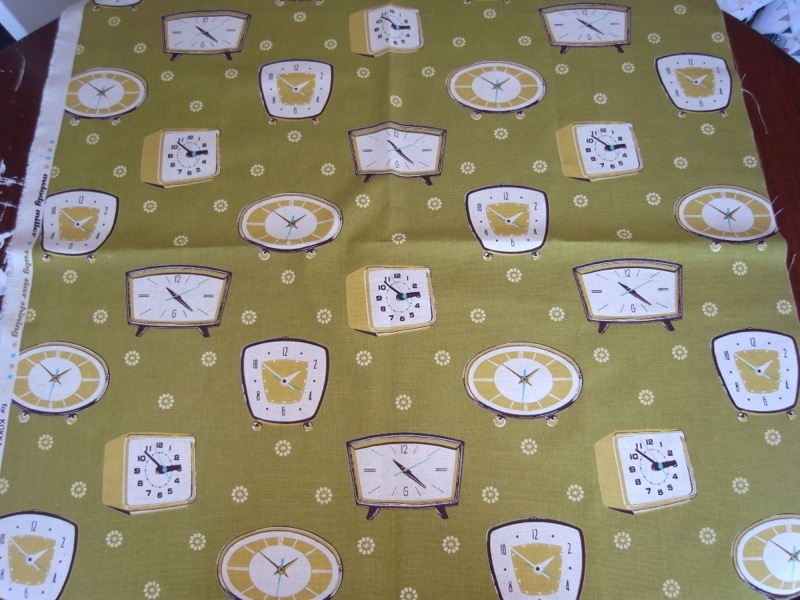 Ellen Lucket Baker for Kokka fabric I believe. 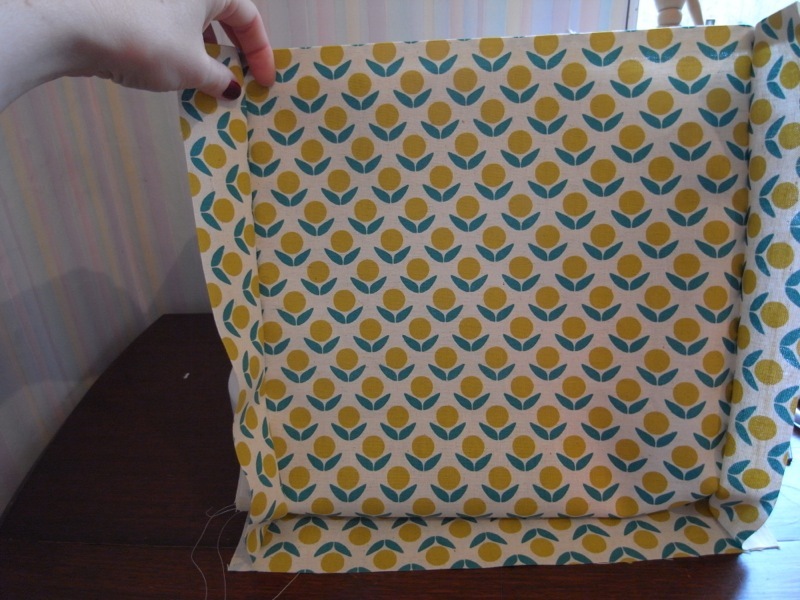 this will turn into a top. Melody Miller for Kokka again. this will turn into bags. 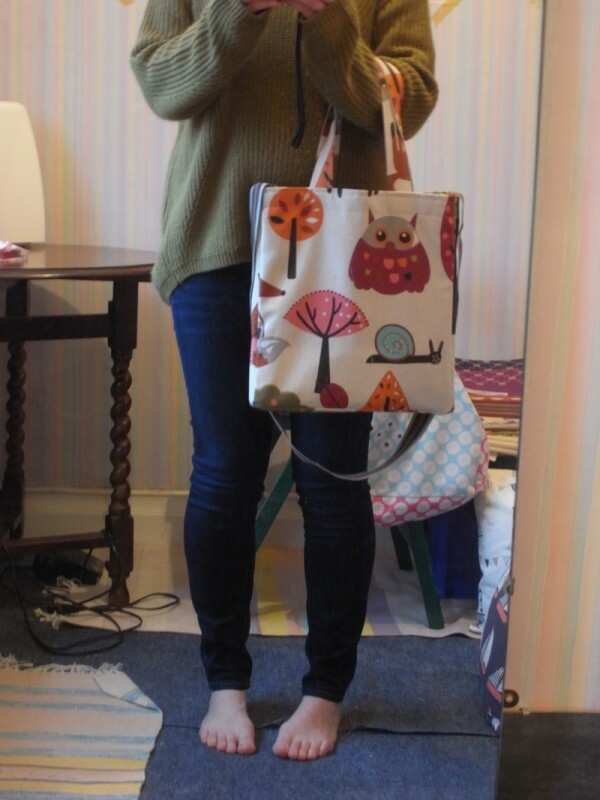 February 2014: Knitting bag, from scraps. 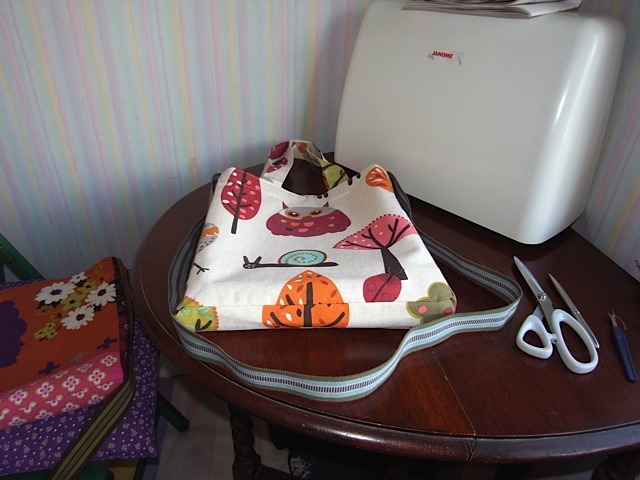 I was asked by a colleague to make a knitting bag, so I set about doing this using some scraps of fabric I had. 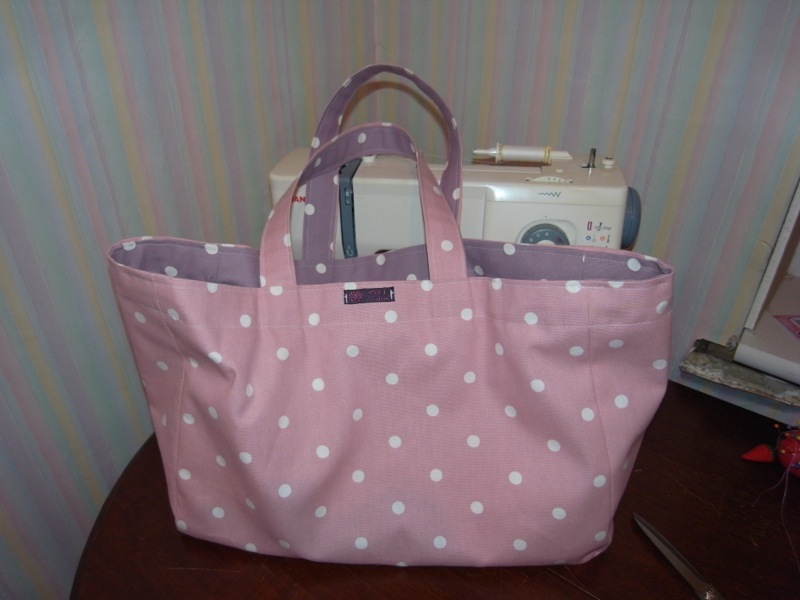 I enjoyed the process of putting this bag together. 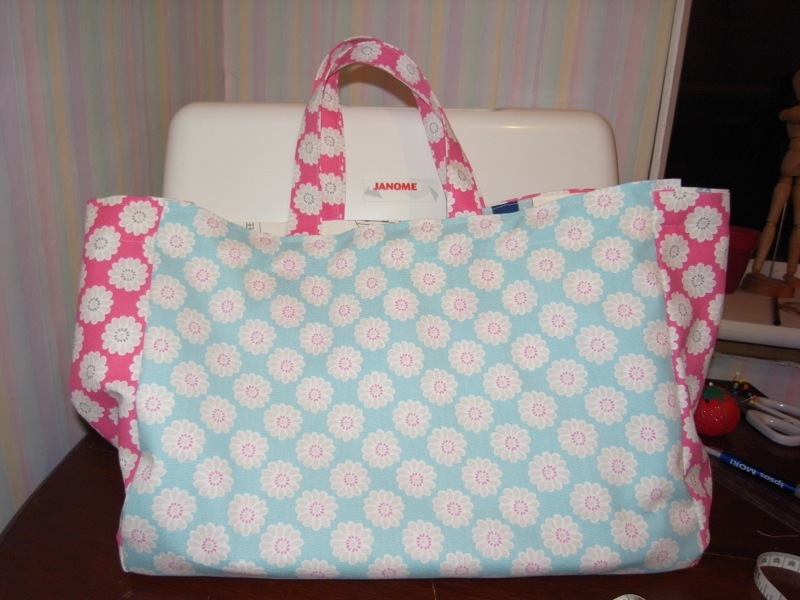 Considering I used scraps and not all the fabrics matched exactly I think it turned out pretty well. 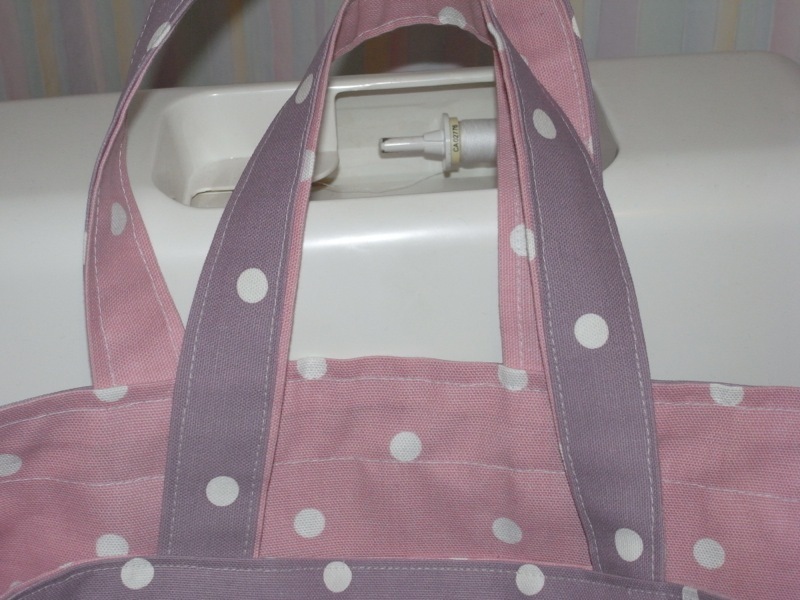 I made the handles myself for the first time too. There will now follow lots of pics!